I remember Hunstanton always with great fondness, because when I was a small child living on a Cambridge council estate back in the 1960s, it was the seaside resort to which we came every summer. In those days, Hunstanton was effectively Cambridgeshire-by-the-sea; there was a direct rail link from Cambridge and Ely, and people visited for the day. If they were better off than us, they owned a caravan, either here or at neighbouring Heacham. Late on summer days, the Cambridge Evening News would be sold on the beach here as if it was the local paper. The railway line closed in 1970. But in any case, faster roads and universal car ownership meant that bigger and busier resorts like Great Yarmouth and Clacton began to eclipse Hunstanton in the Cambridgeshire imagination. And yet I can never come here without a sense of nostalgia. You can stand on the top road looking out across the beach, and when I do this it feels as if I am watching a film of my childhood. I can remember wandering along the beach, which always seemed to be crowded, and bumping into friends from the next street, and this would come as no surprise. And for some reason, our parents were happy to let us wander around Hunstanton unsupervised, and this also made it feel like an extension of the estate back home. I can remember buying my first DC comic in Hunstanton. I also remember being shocked and terrified when a friend of one of my brothers went into Woolworths and came out with a bar of chocolate which he hadn't paid for. These are not extraordinary childhood memories, I know; but after about 1980 I didn't go back to Hunstanton for more than twenty years, and so it feels frozen in time. One of my earliest ever memories happened on the beach here. I can't have been more than about five or six, and so it would have been about 1967. My father had taken me up for the day on his own on the train from Cambridge, just the two of us without my mother or brothers. In my memory, the sun was bright, the tide out, leaving the beach wide and golden. There were donkeys on the beach (presumably long since dispatched to some pet food factory by health and safety legislation) and I yearned to ride on one. My father paid, and I was lifted up. Well, I was terrified, and let out a long howl which only subsided when I was taken down again. I often think of it, and never without a feeling of embarrassment and pity for my poor father. I wonder if he got his money back. It is hard to think of Hunstanton as a holiday resort these days, but the beach looks as golden as ever, if slightly less crowded than in my memory. Even so, there were certainly plenty of children on it. Hunstanton is one of those places where you still find people on the beach in the evening. You can watch the sun go down across the water at Hunstanton, because it is the only east coast resort in England which faces west. There are big parades of large red brick houses, but in truth, the town centre itself feels rather shabby these days. Perhaps it always did. 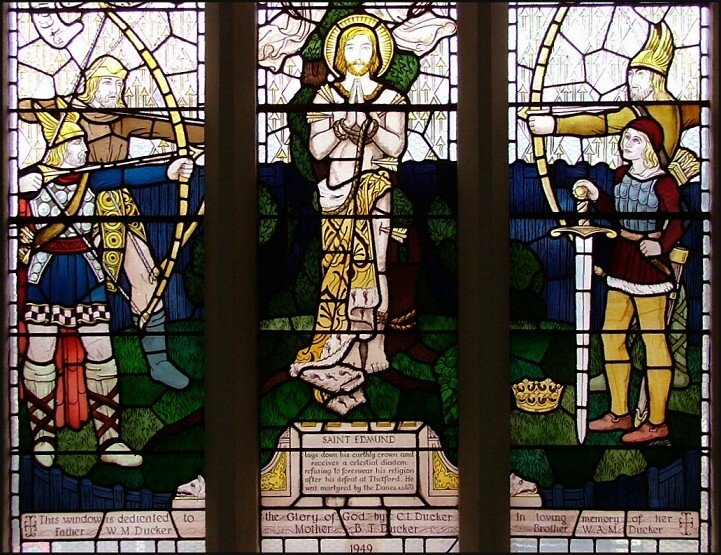 Near to the heart of the town is St Edmund. 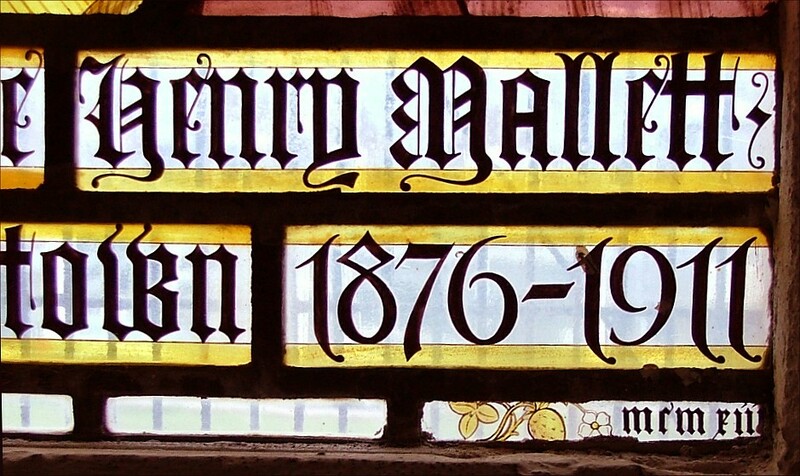 This unassuming 19th century church is unremarkable externally. If it was in most other East Anglian towns, you would hardly notice it. 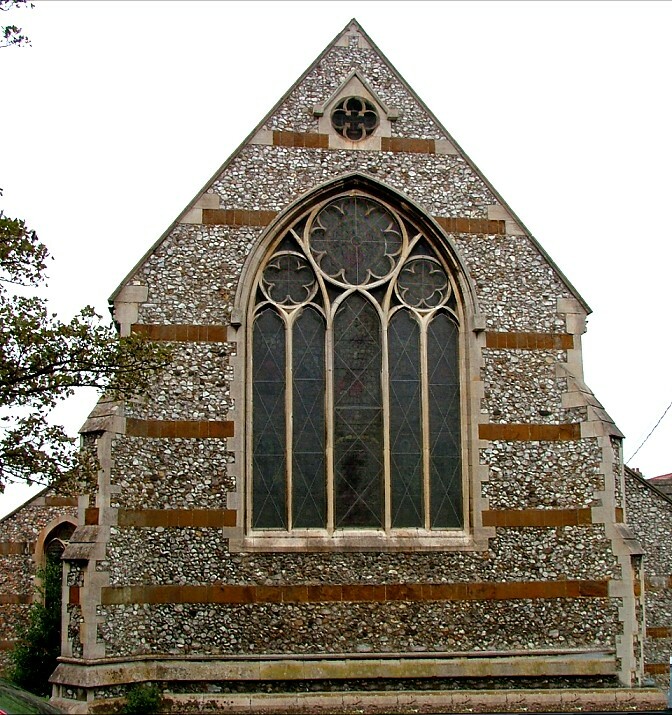 The aisles and clerestory against the nave are in imitation of the churches in the villages around, the windows rendered in a Transitional style. 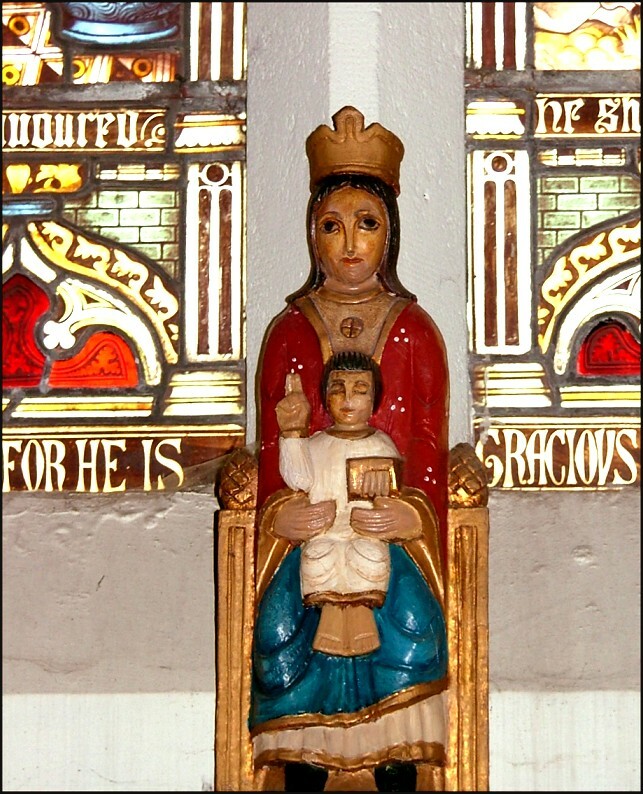 But to anyone who has ever visited St Edmund it will stick in the memory as what is probably the highest Anglican church in East Anglia, if you exclude the shrine at Walsingham. 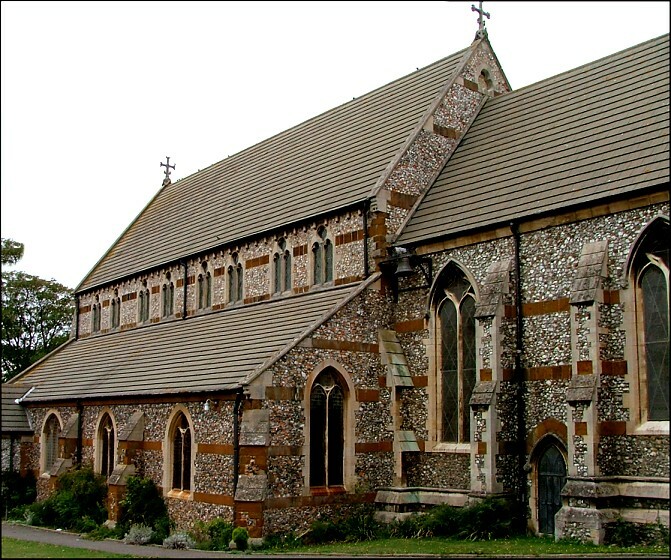 The architect was Frederick Preedy, who was busy at several churches in this corner of Norfolk, most notably Snettisham and Ingoldisthorpe. 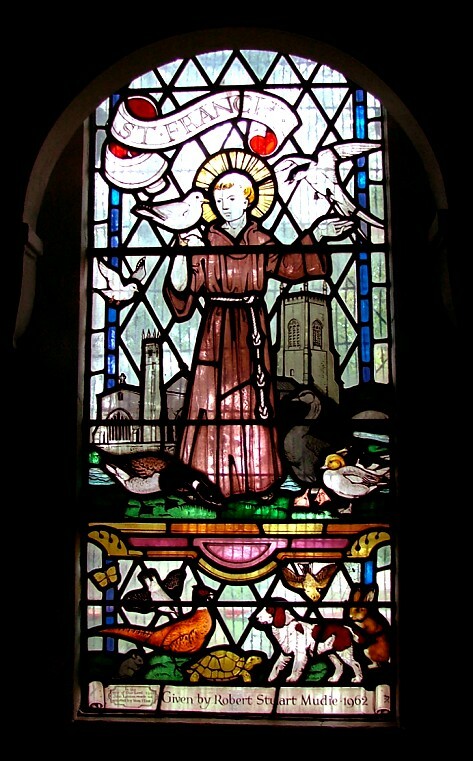 He also rebuilt Barmer church, in the fields towards Fakenham. 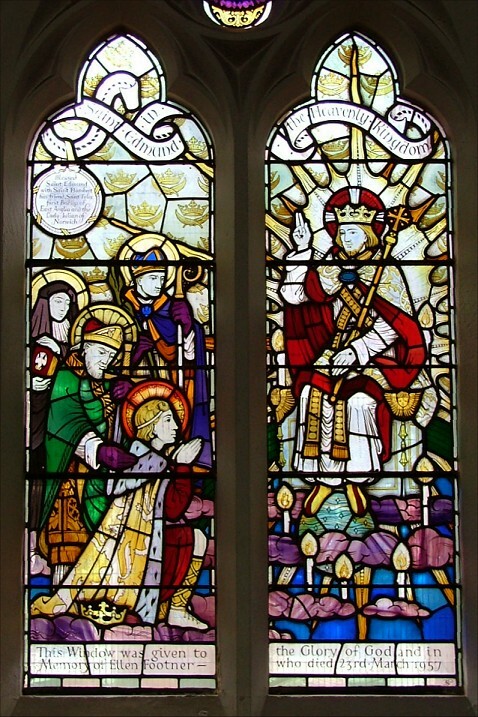 St Edmund was a planned church for a planned resort. This coast was developed by the Le Strange family of Hunstanton Hall to the north, where you'll still find the grand historic Hunstanton parish church of St Mary. 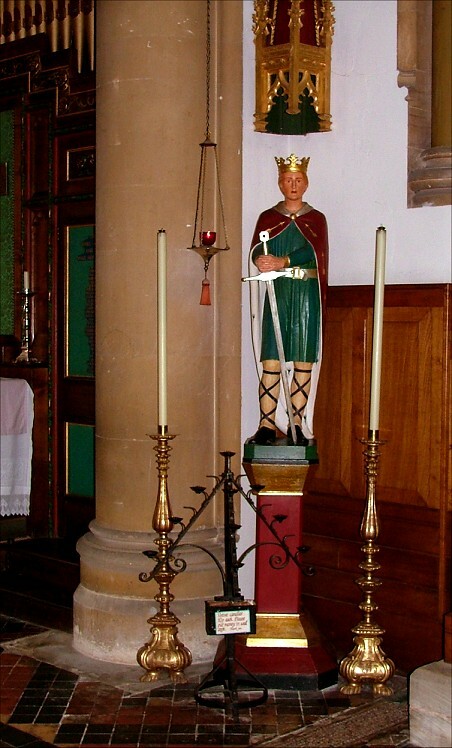 The Le Stranges paid £3,700 for St Edmund, the equivalent of about three quarters of a million in todays money. 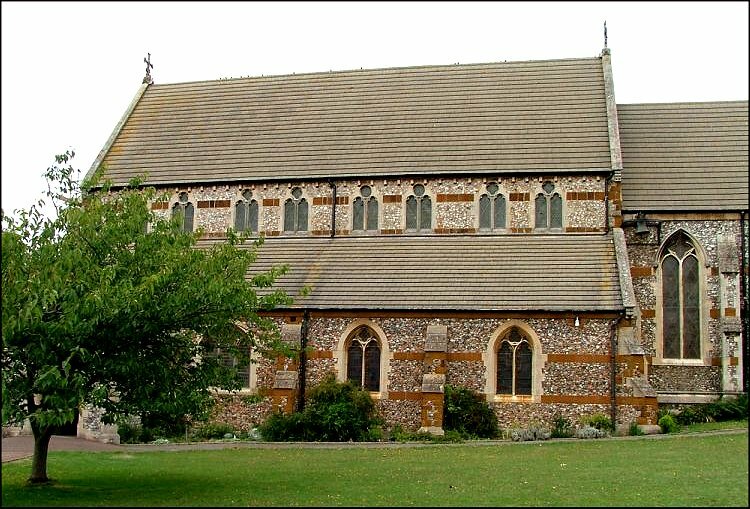 The church took four years to construct, from 1865 onwards. It may be that a west tower was eventually planned, but the original entrance was from the west. 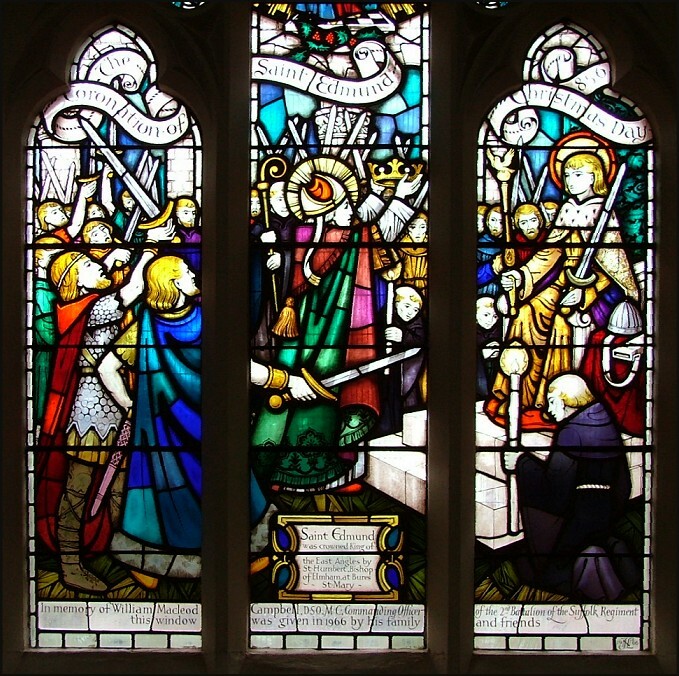 So often, 19th century town churches are kept locked, but St Edmund is militantly open. You step into a vast barn of a place, feeling much bigger on the inside than out. The interior is a riot of colour, a smell of lilies and incense contributing to the feel of the place. It must be very confusing for any non-churchgoers who come inside - they must think that they've stepped into a Catholic church by mistake. 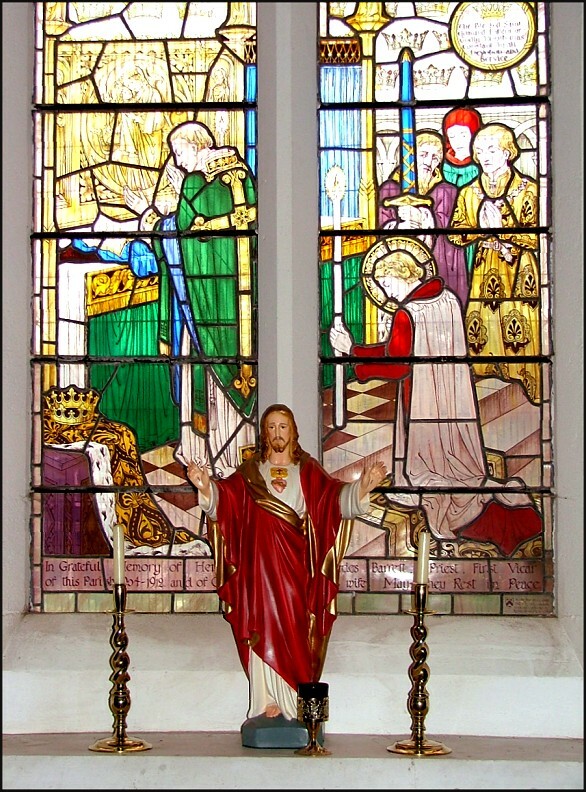 As a Catholic myself, I doubt that, since Vatican II, there are many Catholic churches still as dripping with piety and devotion as this one. 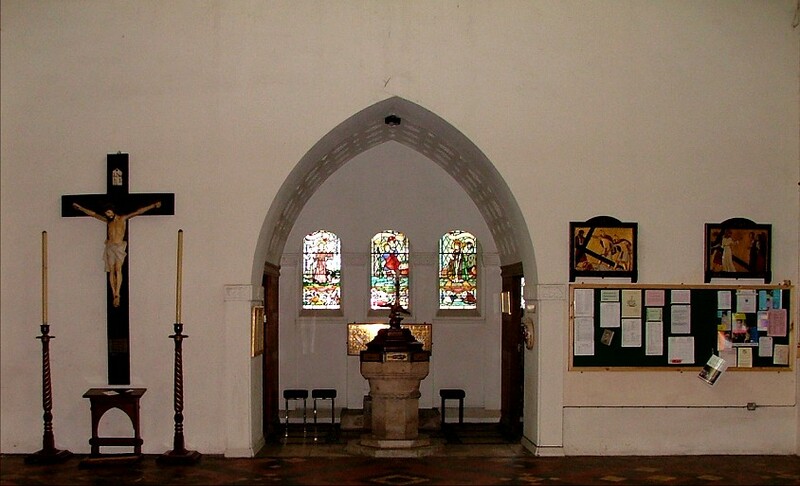 The west end is wide and open, and while St Edmund would be improved by the replacement of its spartan 19th century benches with quality modern chairs, there is a sense of a working space here, enhanced by the use of the former west entrance as a baptistery. 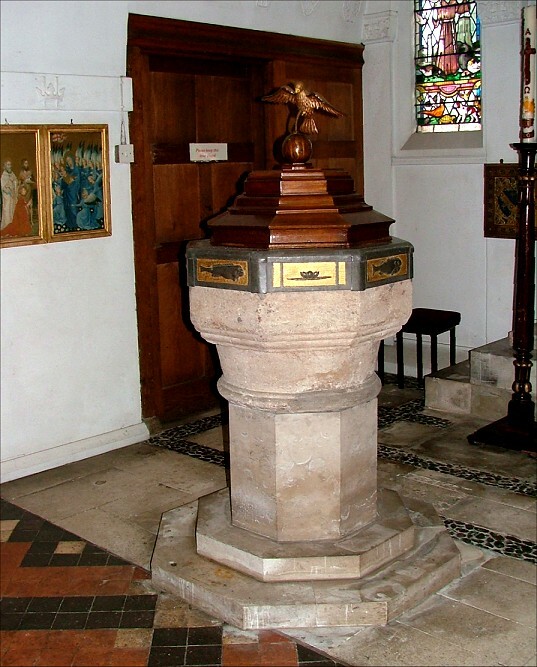 The font is lovely, with lead and brass used around the top as a frieze, and windows behind forming the church's war memorial windows. 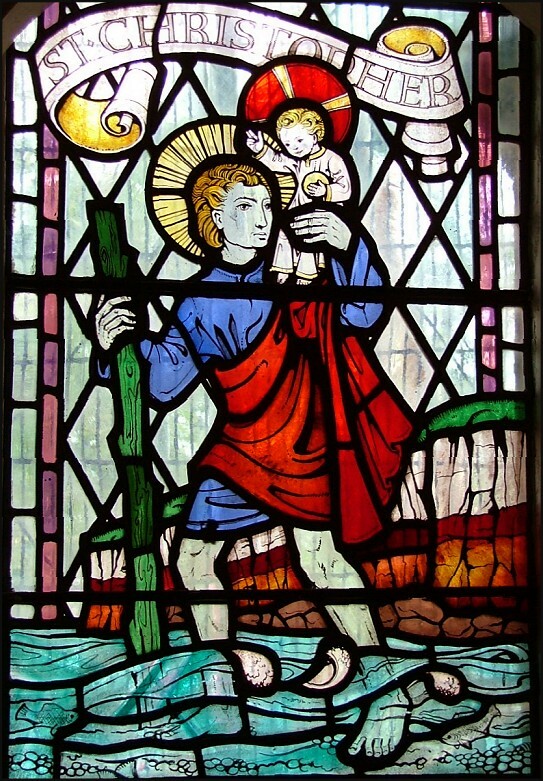 They depict St Nicholas standing outside the church of St Margaret in Kings Lynn, St Francis standing outside of Blakeney church, and St Christopher crossing the Wash, the banded cliffs of Hunstanton behind him. 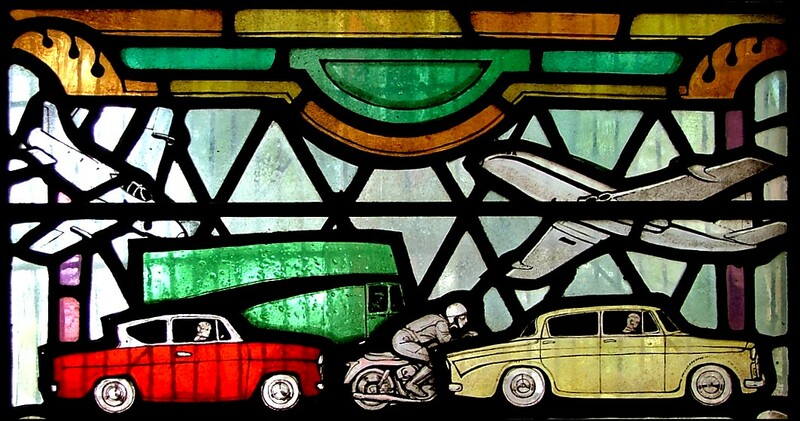 Beneath their feet are ships, fish, and, beneath St Christopher, a delightful scene of 1960s traffic. 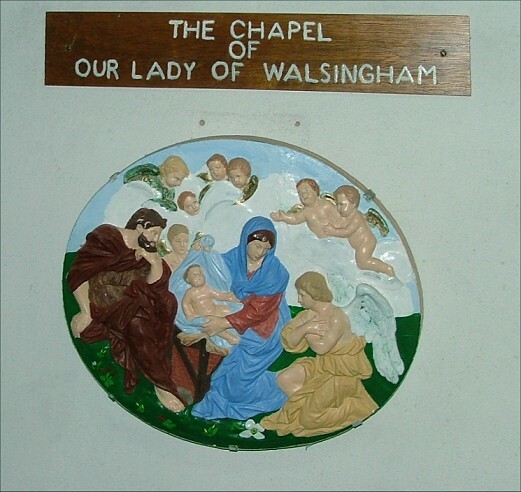 Just off to one side is a little chapel to Our Lady of Walsingham. Turning back to the east, everything devotional continues to be of the highest quality. 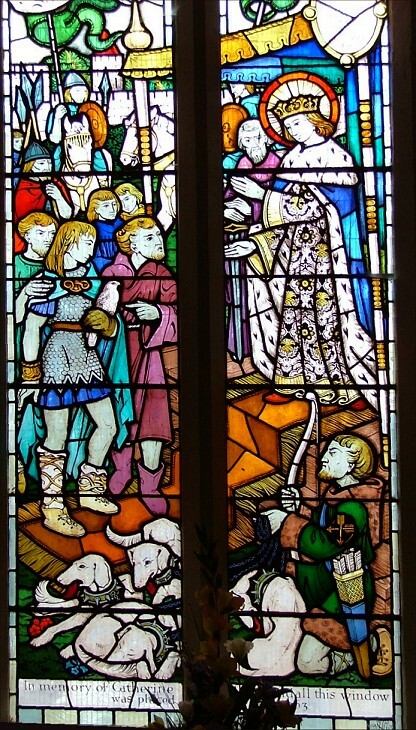 A sequence telling the life of St Edmund runs around the windows, starting with a window by the great Ninian Comper in the south east corner. 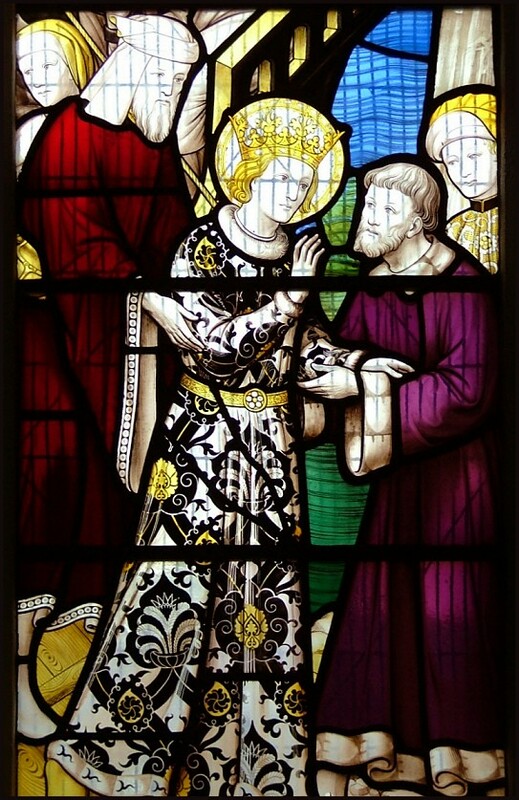 The subject of Comper's window is Edmund, aged 14 years, lands in Hunstanton, which may be your first hint that here we are in the presence of the lunatic fringe of Anglo-catholicism. It certainly was mine. 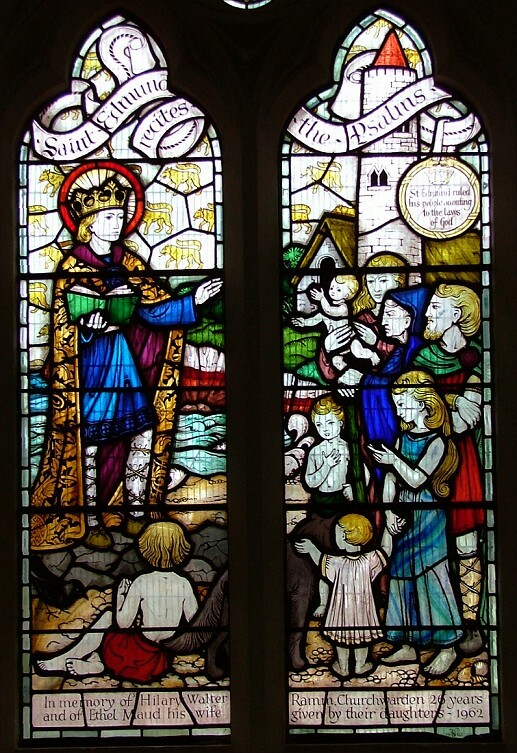 Other windows include Edmund is shown into Heaven by St Felix and, perhaps my favourite, Edmund reciting the Psalms to the children of Hunstanton. I don't know how this would go down with the local youth nowadays, but I have a fair idea of how we would have reacted if he had tried it on with us in the late 1960s. 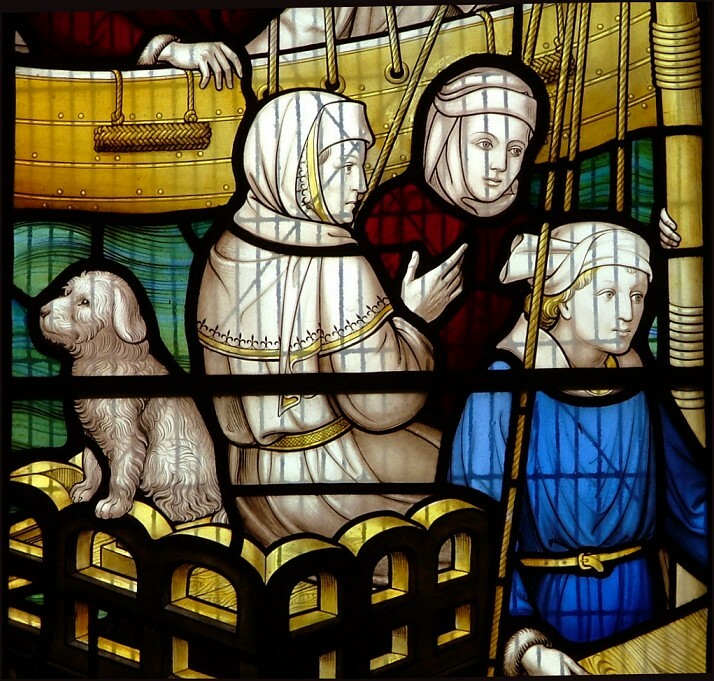 Most of the windows, which date from the first half of the 20th century or so, are by William Lawson, and they are mostly good, although not as good as Comper's. 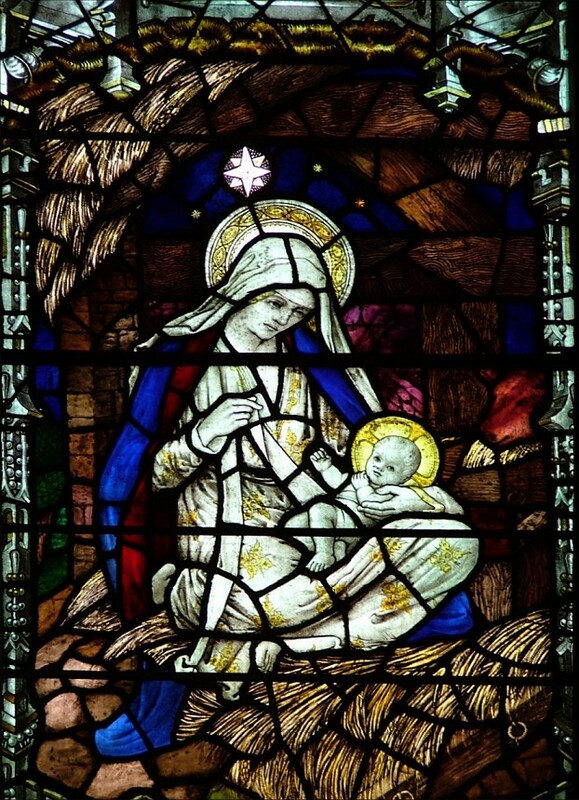 The last is by Lawson's son John, who also did the baptistery windows mentioned previously. This is a big church, and the devotional images do not overwhelm. 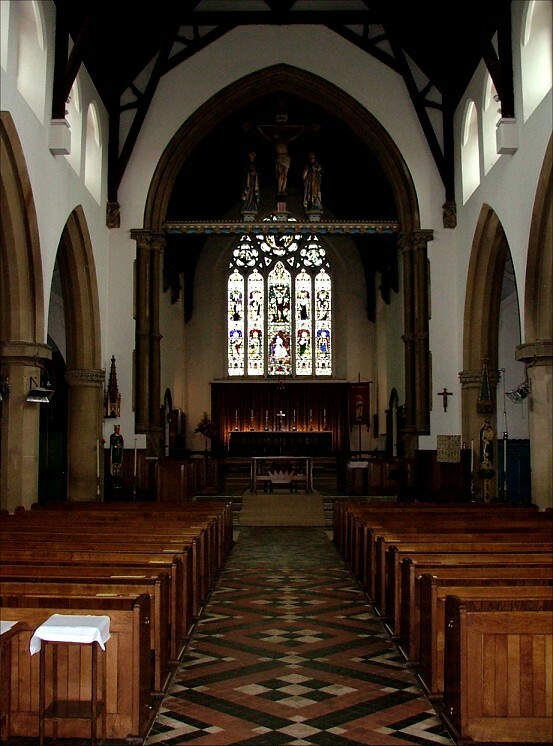 But there are an awful lot of them, especially in the east end of the nave and the chancel. 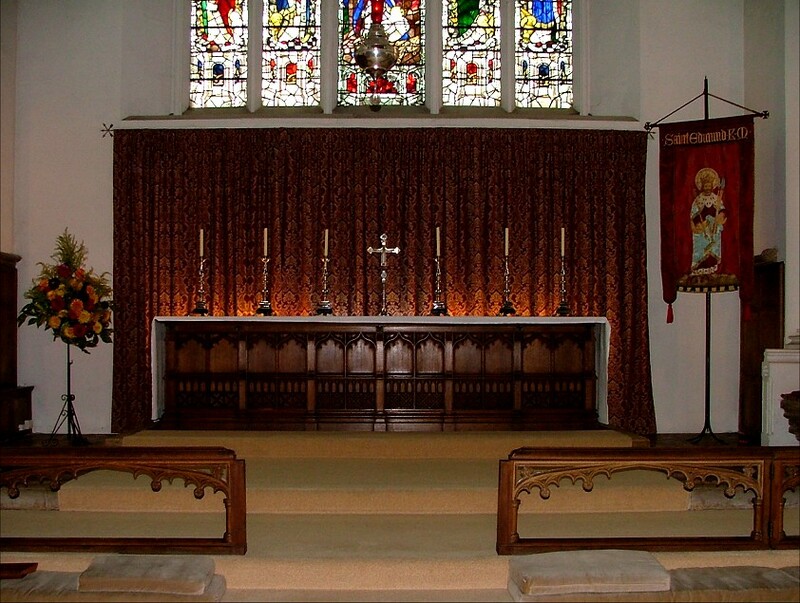 It was interesting to see St Edmund's life in pictures, and I was grateful for the opportunity to light a candle to him if I had wanted to, but the contrast with the rather utilitarian nature of Preedy's furnishings is not a comfortable one. 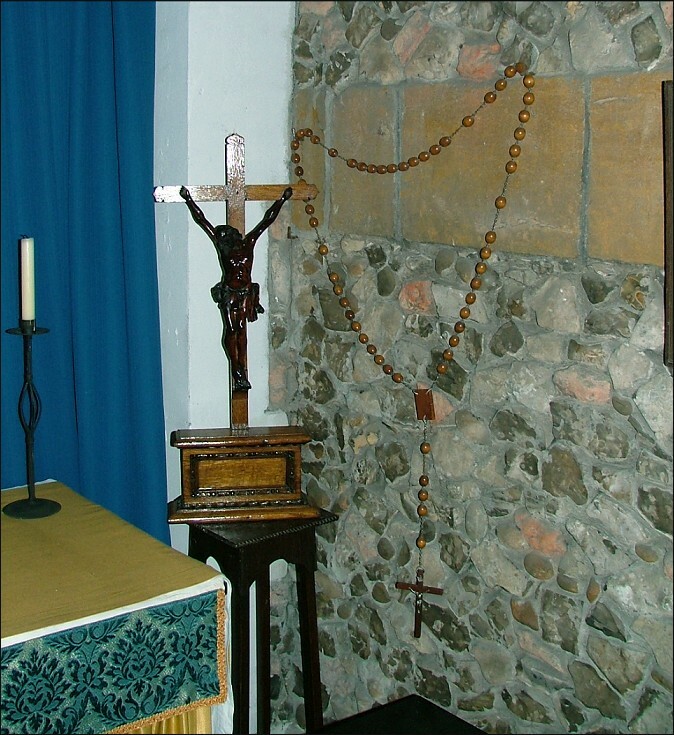 It is almost as if the devotional objects were here temporarily - how I would have liked to have seen something of similar quality in the furnishings! After all, it is not necessary for art to be religious for it to be sacred - think of Glenn Gould playing Bach, for example, or Nina Simone singing just about anything. 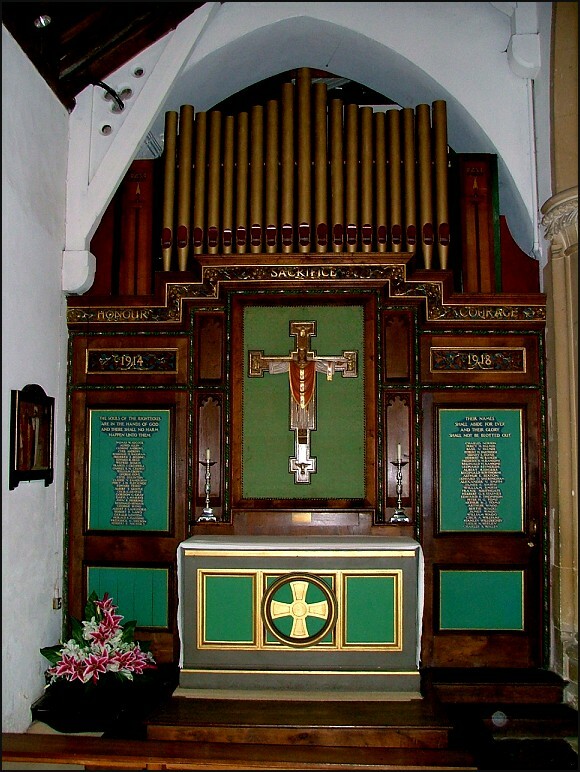 St Edmund's war memorial is a chapel in the north aisle above which the organ pipes peek. 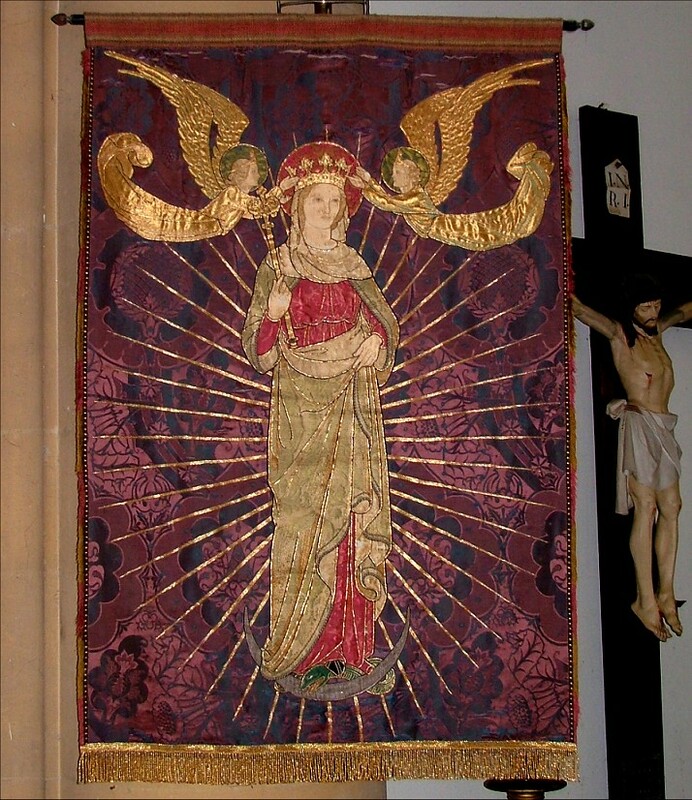 It must date from the 1920s, and this was really the period that Anglo-catholicism reached its zenith in England. After this, the tide recedes, perhaps as a reaction to the First World War, becoming an exotic species by the 1970s, and an almost extinct one today. 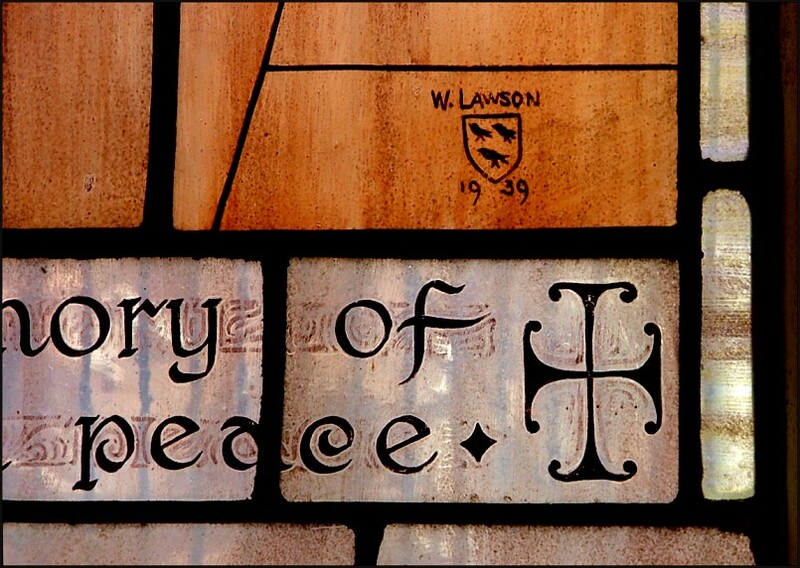 One thing that confirmed for me that we really were on the lunatic fringe was a notice in the porch which reminded us that the Church of England was The True Catholic Church In This Land. I haven't seen one of these notices for years, and I have long since given up feeling offended by them. 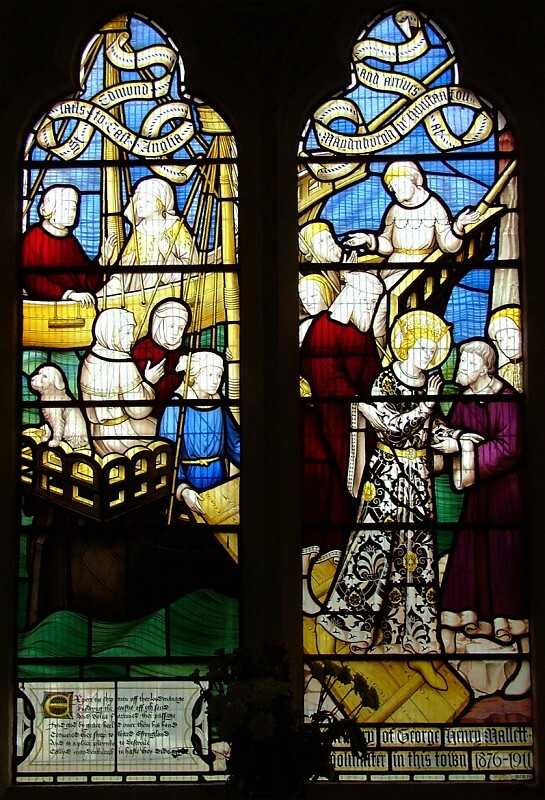 They are a remarkable survival of the 150 years or so during which the Church of England was a triumphant, national church, the project of the Oxford Movement sealed and delivered. We are only just now getting far enough away from that time to be able to see it. 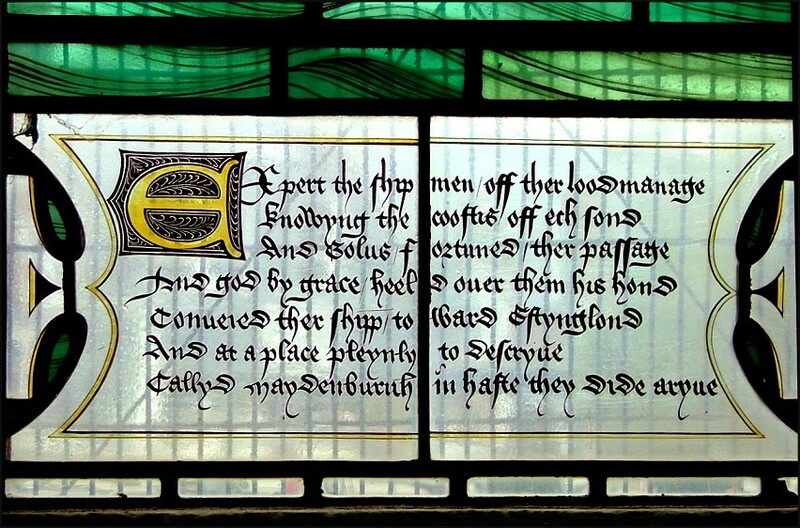 Some people will tell you that at the Reformation the Church of England became Protestant, the notice reads. Do not believe them. "Okay, I won't", I said, and then we left, stepping out into the busy sunshine. 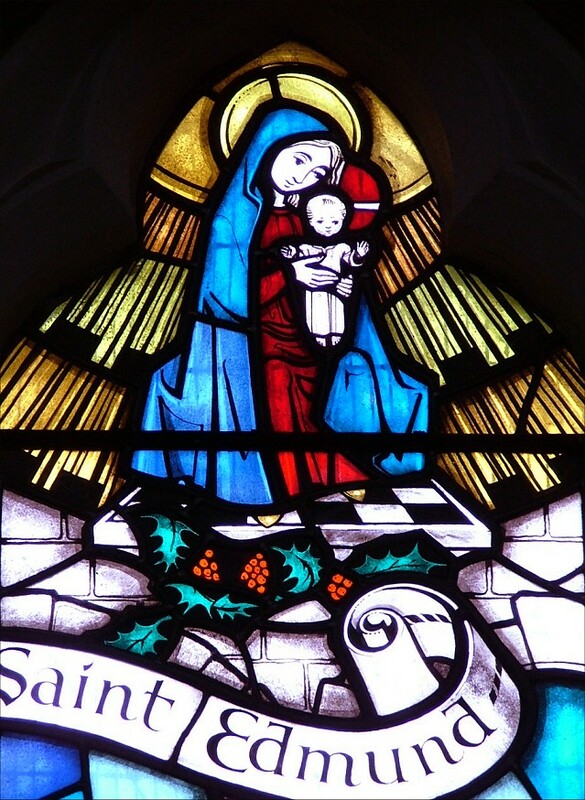 Postscript: the parish webmaster for Hunstanton has asked me to indicate that this article about Hunstanton St Edmund is not in any way endorsed by the parish.